Join us for a free matinee for adults and teens. 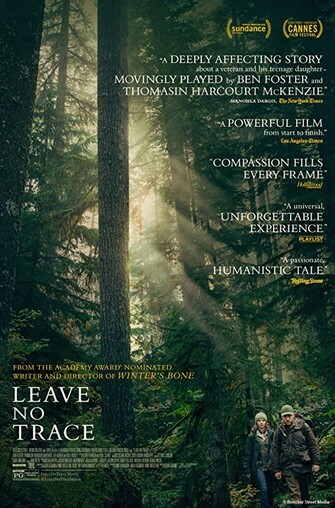 We will be watching Leave No Trace starring Ben Foster, Dale Dickey, Ayanna Berkshire, and Isaiah Stone. A veteran faces his trauma when he and his daughter rejoin society after living off the grid. Rated PG. Approx running time 109 minutes.